Bajaj Auto has relaunched the Pulsar NS200 in India. It’s worth a mention here that the NS200 was taken off the shelves back in 2015. This was done to prevent product overlap due to the introduction of Pulsar RS200 and Pulsar AS200. Now, however, the manufacturer has launched the BS-IV compliant 2017 NS200 in India priced at Rs. 96,453 (ex-showroom Delhi). 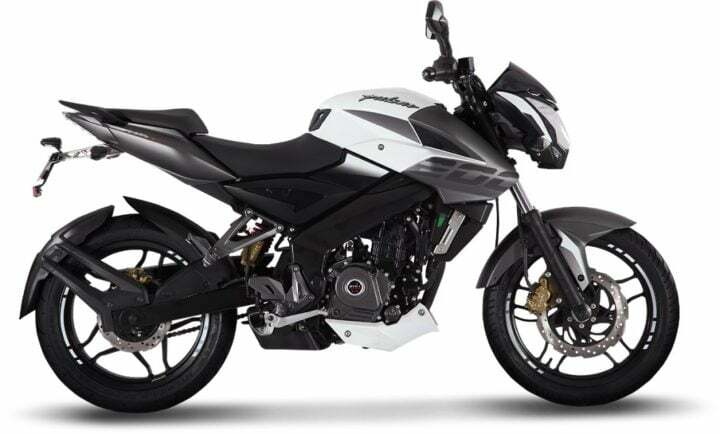 Read on for more on the new 2017 Bajaj Pulsar NS200 Launch Date, Price, Specifications, Mileage and Features. Regulars here would know that CarBlogIndia first broke news of Bajaj working on the 200 NS early last year. 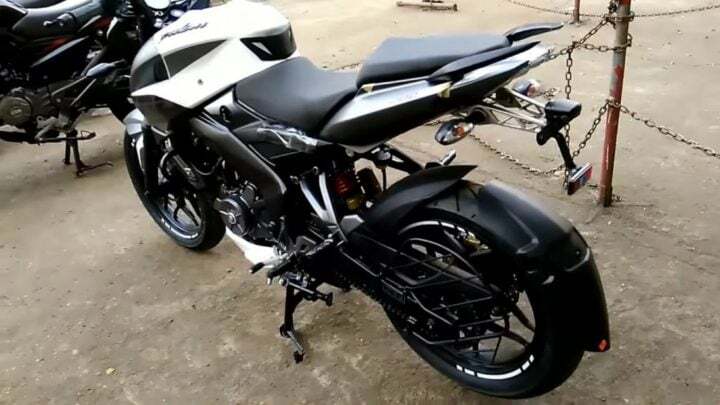 While there were rumours suggesting the manufacturer will launch the new 2017 Bajaj Pulsar NS200 with a fuel injection system, that has not been the case. 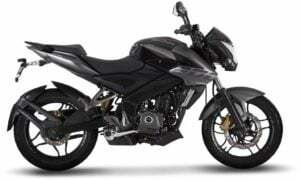 The 2017 NS200 has a sticker price of Rs 96,453. The NS200 is a direct rival to the TVS Apache RTR 200 4V. 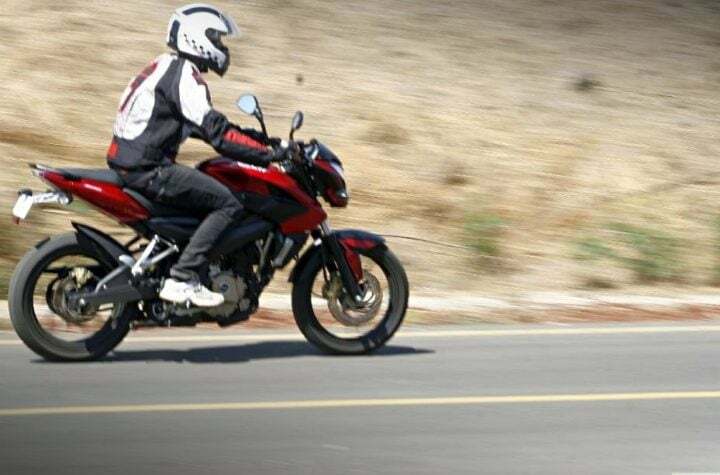 Currently, Bajaj is not offering an ABS equipped variant of the NS200. The new 2017 Bajaj Pulsar NS200 gets the same 199.5 cc, 4 valve, single cylinder engine that powered the earlier 200NS. It still doesn’t benefit from a Fuel Injection system. However, the maximum power-peak torque, at 23.52 PS-18.3 Nm, remains same as earlier. Bajaj is yet to share the exact specifications of the new bike. The new NS200 is now BS-4 compliant. Apart from the Fuel Injection, another major update it has missed out on is the introduction of ABS. The NS200 could be slightly more fuel efficient than before. The bike is likely to have a fuel mileage of 50 km/l. It’s worth a mention here that the Pulsar 220 became the first Bajaj to feature Fuel Injection. It was, however, later discontinued and re-launched with a carburettor. The new 2017 Bajaj Pulsar NS200 looks much like the 200NS that was on sale earlier. However, it features some minor updates to look fresher and slightly unlike the 200NS on sale earlier. It gets new body graphics, slightly different seat, new alloy wheels and dual-tone paint options. It also feautres a belly-pan that adds to the street fighter look. Stay tuned to CarBlogIndia for more on the new 2017 Bajaj Pulsar NS200 Launch Date, Price, Specifications, Mileage, Images and Review.